The Nutrena AQHA Eastern and the SmartPak AQHA Western Novice championship shows will be held October 5-7. The Nutrena AQHA Eastern and the SmartPak AQHA Western Novice championship shows will be held October 5-7 and will showcase the industry's top Novice competitors in 12 events. Exhibitors who qualify for the AQHA Novice championships will have the choice to travel to either the Tennessee Miller Coliseum in Murfreesboro, Tennessee, for the Nutrena Eastern Novice Championship or to the South Point Hotel and Casino in Las Vegas for the SmartPak Western Novice Championship. AQHA is pleased to add Corporate Partners SmartPak and Nutrena to the family of AQHA title sponsors. "The new AQHA Novice championship shows are one more way that AQHA members can get out and enjoy their horses. The support from corporate partners like Nutrena and SmartPak is what makes these kinds of events possible," said Don Treadway Jr., AQHA executive vice president. "It is important that we help support those companies who support our lifestyle." "Cargill is proud to be the official feed partner of AQHA," said Jackie Rieck, marketing manager for Cargill's Nutrena brand. "Sponsorship of the Nutrena AQHA Eastern Novice Championship Show enables us to provide greater opportunities for horse owners and help showcase their talents on a national level. We are excited and look forward to seeing everyone in Murfreesboro, Tennessee, for the inaugural championship show." SmartPak is proud to be partnering with AQHA as the title sponsor of the SmartPak AQHA Western Novice Championship Show. "As riders and competitors ourselves, we love that these shows offer Novice exhibitors an opportunity to be recognized and rewarded for their accomplishments in the show arena, and we're excited to be joining forces with AQHA to support them," said Becki Goss, vice president of western marketing at SmartPak. The AQHA Novice championship shows also offer opportunities for presenting sponsors. Already on board as presenting sponsors are AQHA Corporate Partners Merial, SmartPak and Nutrena, and Chas Roberts Air Conditioning & Heating, a presenting sponsor of the SmartPak Western Novice Championship. If an individual or entity wishes to support the inaugural Novice championships as a presenting sponsor, they may do so by May 1. For more information, contact AQHA Director of Corporate & Affiliate Partnerships Leman Wall at (806) 378-4333 or lwall@aqha.org. And finally, AQHA is looking for class sponsorships for the Novice championship shows. The class sponsorship package includes a logo or name inclusion on the signage in the coliseum, a full-page color advertisement in the show program, a logo or name inclusion on the draw sheets, the opportunity to present awards for the class sponsored, a Web ad on the Journal Winning Run page for the class sponsored, a logo included on pattern sheet when applicable, and public service announcements. The deadline to sponsor a class at the Novice championships is August 15. For more information on class sponsorship opportunities, contact AQHA Director of Business Development Doug Hayes at (806) 378-4384 or dhayes@aqha.org. AQHA news and information is a service of AQHA publications. 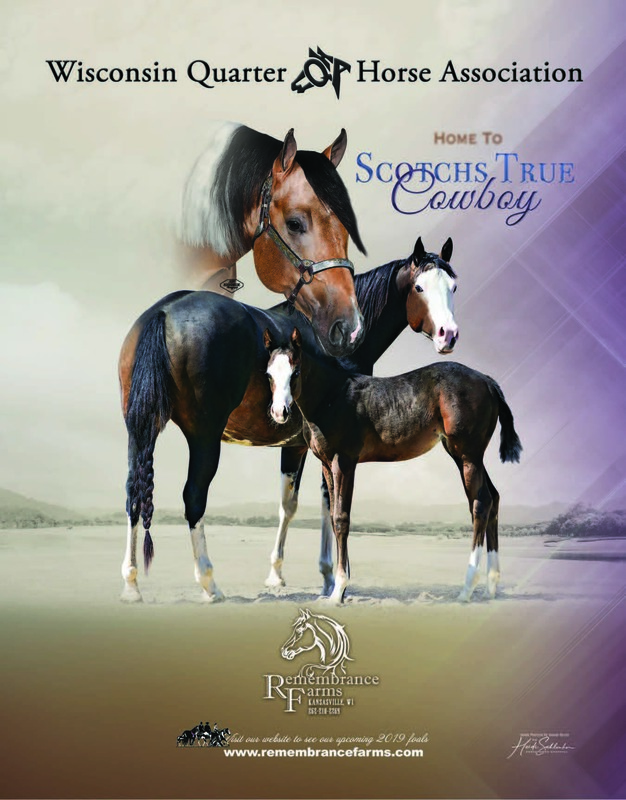 For more information on The American Quarter Horse Journal or America's Horse, visit AQHA Publications.